Just beware - this post will probably make you hungry, and definitely make you get in touch with your sweet tooth!!! If you've been in the store while BJackson's Bakery's cupcakes are here, you know exactly what we mean when we say these are THE VERY BEST cupcakes EVER. 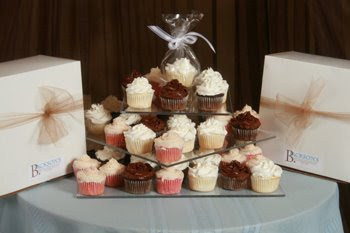 You, too, can enjoy these delectable delights this weekend at the Melissa Sweet Trunk Show!! 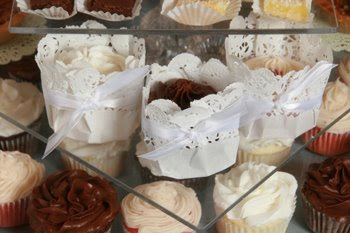 That's right, eat cupcakes and try on some wedding dresses : ) :) Sweet way to spend the weekend, no?